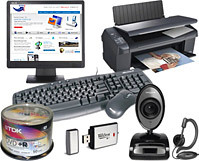 Arron Services are able to offer a One Stop Shop for all your Computer accessories, from Connectors and Cables to a full range of Hewlett Packard Printers. Our expert team are able to advise to the best products for a particular requirement and will also source the product at the most competitive price including installation and setup. 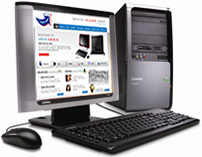 Here at Arron Services we offer a one stop shop for all computer related accessories. We can also advise on the best product to suit your needs and we'll source it at the best price.